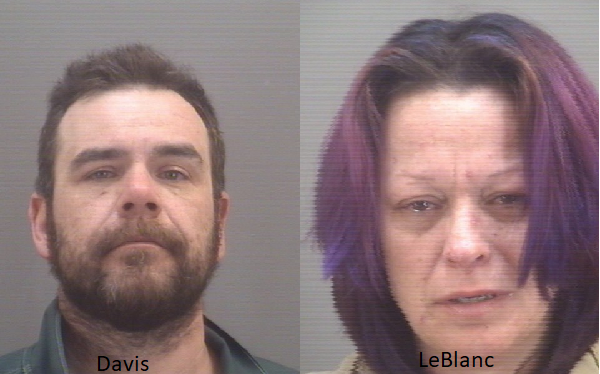 HOWE – LaGrange County police arrested two people at the Best Western Motel next to the Toll Road last Friday on auto theft and drug charges. A vehicle reported stolen was at the motel and police arrived and saw that the suspects were inside. They obtained a search warrant and found a significant amount of methamphetamine and paraphernalia inside the room. 41-year-old Sycora LeBlanc of Phoenix was jailed on charges of auto theft, along with possession of meth and paraphernalia. 40-year-old Miles Davis of Sturgis was charged with aiding a criminal, possession of meth and paraphernalia.